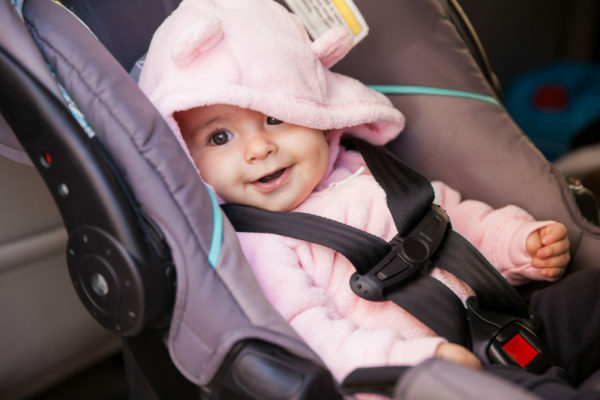 If you’re planning a road trip with young children during the coming holidays, you’re probably already wondering how you’re going to survive the drive. Even a short trip can seem like an eternity to restless and energetic little people. We asked our Facebook friends to give us their best tips to keep both drivers and passengers sane (and safe) on holiday drives. Their answers were too good not to share. Happy travelling! I Spy is a perennial car trip favourite, but there are only so many cows you can spot before everyone gets a bit tired of it. Luckily car games, and imaginations, have evolved a lot since I was a kid. Reader Brianna Wollatt says her dad used to put together a quiz with questions such as “what are the colours of the rainbow?” or “name all the planets”. Car cricket is another good Aussie game for country roads. Mum-of-five Garbie Croft has clearly had some experience with kids and long trips, and has come up with a pearler of a game to keep both parents and youngster happy. “I place a packet of lollies in the front where they can all see them and each time one of them whines or argues or asks, ‘how far?’, I throw one lolly out the window (not really, I make it look like it went out). At the end of the trip they share whatever is left. It works a treat as they don’t normally get lollies,” she says. Give them a kid-friendly camera and make a “treasure hunt” – get them to take photos of certain objects along the way (horses, trees, windmills, wildlife – whatever you think you might see on your travels). Kaitlyn Monique Hockstra suggests writing a list of towns on your route, and getting the kids to cross them out as you travel through them. I’m also a fan of Trudy Parker’s children’s new “silent game”. “Mum says, ‘ready, set go’, and the winner is the person who stays quiet the longest. Best game two kids could come up with, they try to outdo each other for hours,” she says. Not surprisingly, this was a winner among our commenters! Colouring books or paper and pencils or crayons, as well as Magnadoodles, wordbooks and puzzles, can keep boredom at bay and little fingers busy for a good chunk of the trip. Give them a lap tray table to keep it steady. Rahannia Shaw suggests beads and string for older children. This has been a game-changer since I was a kid. Portable or headrest DVD players, iPods, iPads, personal game consoles and audio books are also popular for helping kids pass the time away. And don’t forget the headphones! Load up on apps from our archives. Isn’t this the universal rule for going anywhere with children, no matter how close or far? Don’t forget food! You can never have too many healthy snacks – chopped fruit or bananas, cheese and bikkies, sandwiches, carrot and celery sticks, muesli bars and fruit squeezies make excellent car food. Sarah Doran says she makes her kids personal picnic-style lunch box treats. Lollipops will keep little mouths occupied for a while too. Don’t forget water, and a couple of plastic bags for rubbish! Take a handful of favourites for younger children, and one or two for older kids (who should be able to amuse themselves in other ways). You’ll find a heap of options in our toys category. What’s your best sanity-saving car travel trip?